Back in Miami in 2005 when Gerardo Alton-Ortega started what would become the global leader manufacturer of download cards, he thought of an innovative way of distributing and selling multimedia physically. 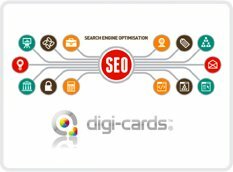 A few months later Digi-cards were launched and in the past twelve years Digi-cards download cards have become the standard of physical multimedia distribution and sales among artists, writers, directors and many other professions. 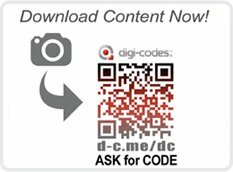 Three years after Digi-cards were created and after looking into a fast and easy interaction between Digi-cards and the end users, Alton-Ortega and his team created the Digi-code, a combination of a photo recognizable QR code, a short-url and a pin or secret code. Immediately afterwards the Digi-codes were implemented on the Digi-cards creating the DC5.0 or “Light” version of the Digi-cards download cards which can be seen here www.download-cards.com . 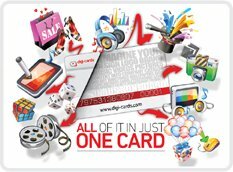 Then the Digi-codes became a part of the Digi-cards platform and not promoted as a unique product. In 2010 a client asked for orders of Digi-cards in quantities that could not be produced in the turnaround time requested, so Alton-Ortega offered to print Digi-codes directly in the labels of such product. The experiment became a hit and surpassed not only the interaction expectations but broke marketing records on redemption, interaction, customer participation and customer reach compared to other forms of in-label product marketing. Digi-codes have now become a standard in product marketing but can they themselves become money makers? That question has been answered with a combination of ecommerce and an obvious use of already developed programming. Now you can literally print on anything and make it a “download” product for example just like Digi-cards download cards you can have download t-shirts, download-caps, download-cups, etc. anywhere you print your Digi-code you can promote or let end users download your multimedia content either for free or in exchange for a monetary transaction. How? Let anyone see or take a picture to your Digi-code, if you want to promote your multimedia or content for free, then print a generic code on it and the end user will be enjoying your multimedia content in no time. You want to make Money? Easy, replace the generic code with a text such as “Get Access Code” or “Ask for Code”, set a price in exchange for the code and transaction done. 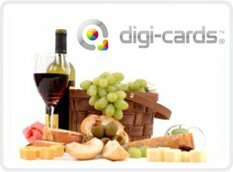 For more ideas on how Digi-codes can work for you visit www.digi-cards.com or www.digi-codes.com and contact us. 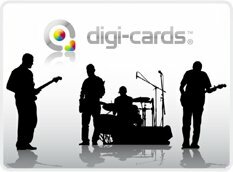 Just like they have done for independent recording artists all around the world, Digi-cards download cards are now doing for authors and publishers around the world. 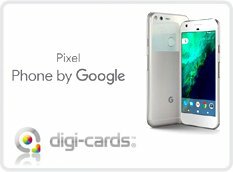 In a virtual world where human touch has lost its way and the word tangible no longer exists, Digi-cards have come to save the day. We all know now that Amazon is the largest retailer in the world, with a monopoly on ebooks just like itunes does with music, but what happened to book showings and authors meet and greet promotional events, unless you have published a real book and killed hundreds of trees by doing it, there is nothing to promote or sell. Will the attendee promise to buy the ebook on Amazon while he gets a selfie with the author? There are hundreds of opportunities and means to promote and sell a book physically, and now there are Digi-cards to make it happen. No need to wait for a publisher to sign a contract for your book, you can now distribute it via Amazon and/or physically through Digi-cards which are compatible with all ebook readers and formats. 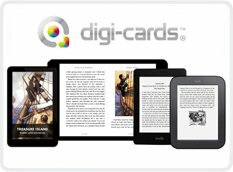 For more information on how authors and publishers are taking advantage of this innovative way of distribution and promotion visit www.digi-cards.com or www.download-cards.com readers are waiting. 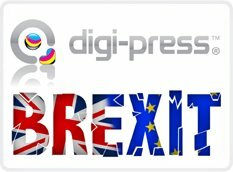 After the surprising results on the referendum vote to leave the European Union this past June 23rd, Vital Digital Global parent company of Digi-press has decided to open a branch in the UK and set the pricing structure in pounds (GBP). Current sales to the UK are processed in the USA and the currency and pricing structure is based on the United States Dollar (USD), also some production is done in the European Union which will probably be affected once the Brexit import/export negotiations come to an end. In order to keep affordable and competitive pricing to current and future clients due to the impending drop in the value of the British pound, Digi-press products will be revalued and set to a standard pricing based on the pound (GBP). Digi-press is now becoming the go to place to print plastic cards around the world and just like it did with Mexico when the Peso (MXP) fell, Vital Digital Global froze the price of the peso to the previous value, it now expects to do the same in the UK to stay competitive and not affect current customers while all the Brexit negotiations are settled. 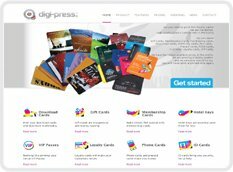 Currently Digi-press.us serves the USA & Canada and Digi-press.eu serves the European Union, Digi-press LATAM for Latin America and the Caribbean is in its final development as well as Digi-press Middle East.